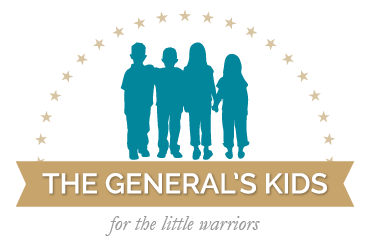 We are so excited to announce that The General's Kids has made its first trip to Walter Reed National Military Medical Center! On March 21st the Yellow Ribbon Fund graciously asked us to participate in a resource fair for caregivers. We lined the lobby of one of the main buildings where out-patients and families live during their recovery. It was amazing seeing how many organizations came out to help show caregivers all the support that's available to them. I really would have loved something like this during our time at Walter Reed. 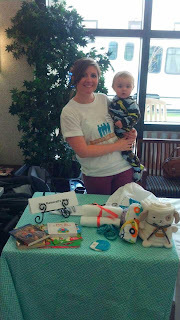 So we were thrilled to be able to introduce ourselves to some of the families there. We are in the process of setting up meetings with the folks that we need to over there so we can discuss with them the things we want to do to make the adjustments to traumatic injury go a little smoother for our warrior kids. There was so much hope and excitement in the air as I introduced myself to warrior families that we hadn't met when we were there. As we all talked and shared stories we found ourselves constantly saying "Yes! Exactly! That's how it is when you raise kids in a hospital." Every wounded warrior family has a unique situation but there are some very common struggles. Even tiny little babies are effected by the stress and emotions that their parents feel. As the parent of two Little Warriors I can honestly say I know exactly how it feels when someone comes along and shows your child appreciation. Its a moment of joy and a breath of fresh air. Its knowing they truly aren't forgotten. We have even been able to get more Little Warriors registered for our programs since Thursday. So if you are interested in sponsoring someone don't forget to register here. We can connect you with a Wounded Warrior family that is in need of extra support right now. 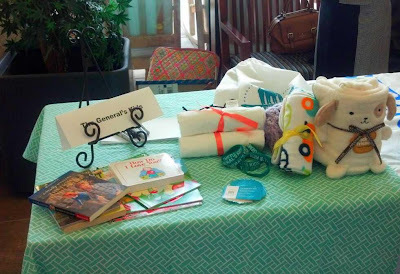 Thursday we gave out new books, snugly blankets, t-shirts and draw string backpacks to countless families. Little things like this can really turn a bad day, or a scary day, into a peaceful evening. We couldn't do all this without your continued support so thank you all very much! We can't wait to do it again soon! The General's Kids, INC, is a not-for-profit organization and is not part of, or endorsed by the Department of Defense. View our tax ID letter here.